Want to get stronger, faster, more efficient and less prone to injury? One-on-one training sessions are always the best way for our coaches to identify weaknesses and address problems with practical training solutions. One-on-one sessions vary widely in their structure based on the needs of the athletes, but will always begin with an assessment of the athlete's goals and needs, followed by practical exercises for correction and improvement, as well as recommended follow up. Pricing is the same for all sessions - please call or email jason@playtri.com to schedule a training session. We encourage you to explore our Meet the Coaches page to learn more about our fantastic team. Please complete our New Client Application at the bottom of this page to apply for individual coaching. Individually coached athletes are required to train and race with heart rate as a part of Playtri's load-based training program. 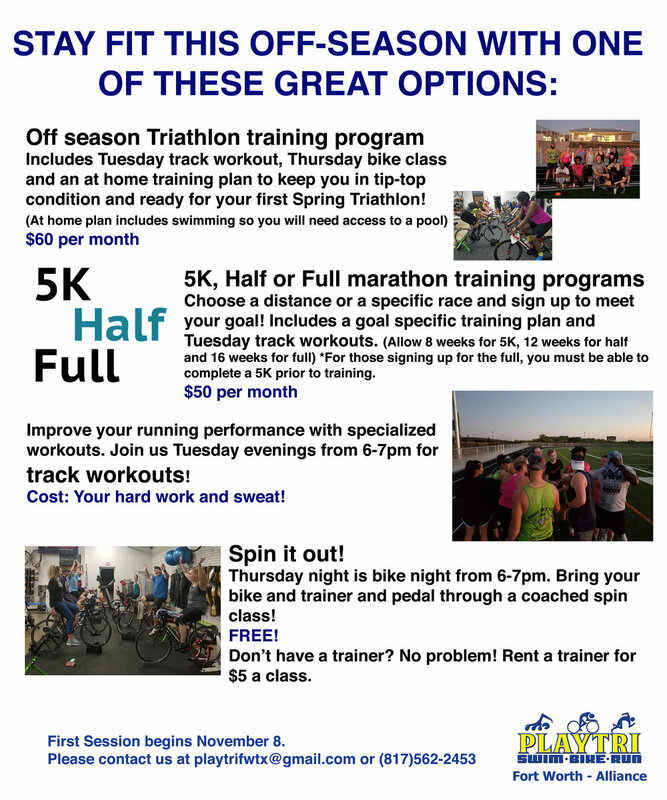 All programs include a $200 registration fee, with covers initial threshold testing for bike and run. Detailed race strategy provided for all competitions, including warm up, cool down, and in-race guidelines for heart rate, power, pace, cadence, etc. Detailed race strategy provided for all competitions, including nutrition, hydration, warm up, cool down, and in-race guidelines for heart rate, power, pace, cadence, etc.